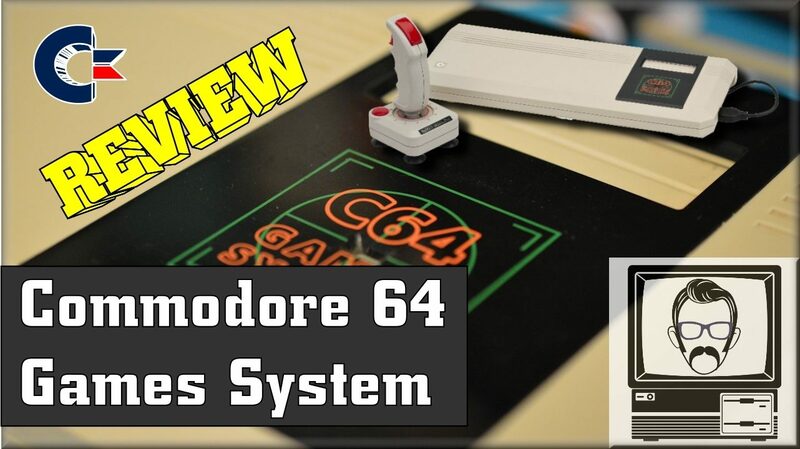 A review of the doomed Commodore 64GS, or 64 Games System. Manufactured and released by Commodore in late 1990, it’s production span lasted less than a year and was by all accounts a failure in most departments, especially commercial. Get the full story here, along with some snippets of lesser known information. Also, witness the emotional smashing of a 64GS console. 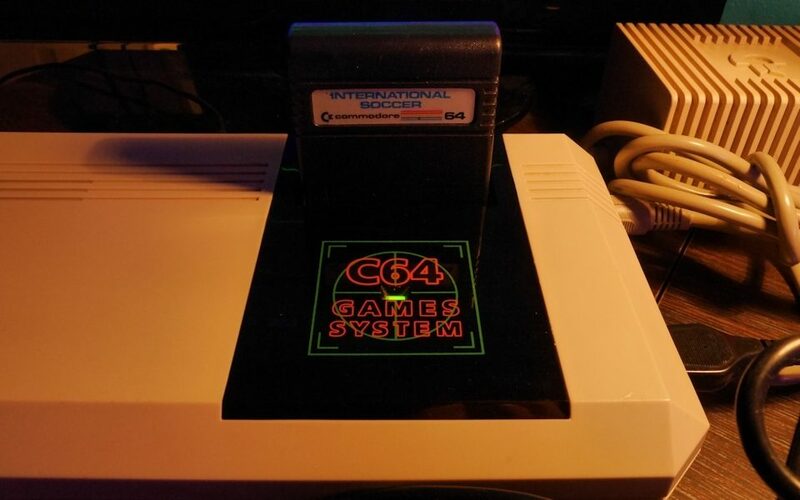 Today I’m looking at the Commodore 64 Games System, often abbreviated to 64GS. Although I’ve covered this machine lightly in my full C64 review, I felt this particular incarnation needs another look. Released in December 1990 in the European markets – the place it would remain for it’s entire lifespan, with considerably poor sales preventing it from being sold elsewhere. It was Commodore’s ill fated attempt to break into the “strength-to-strength” games console market, by repackaging their Commdore 64 personal computer into a keyboardless shell with the cartridge port moved onto the top of the machine, rather than at the back. It was in every aspect, very similar to Amstrad’s attempt to enter the same market with their GX4000 model and both ended up spinning into a whirlpool of misfortune. Unlike the GX4000 however, the console wasn’t an upgrade of Commodore’s existing hardware in any way, if anything it was a cut down c64 in a keyboardless box. Blinded by their apparent stupidity, Commodore’s marketing department decided simplifying their existing hardware and shipping out something with less features would be deemed a win by all, and they were sure it would happily compete with the recently launched Sega Mega Drive and upcoming Super Nintendo products. Foolish to say the least and easy perceived as money grabbing at it’s worst. Interestingly, this was not Commodore’s first venture into the console market. 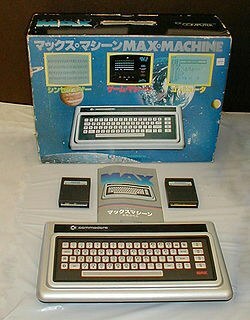 In 1982, they released their MAX Machine in the Japanese markets, which was a slight expansion on their VIC-20 technology, just without any expansion ports. The machine boasted a keyboard, but relied on cartridges to load, and like any console, success is almost entirely dictated by it’s software line-up, which in both cases of the MAX and the 64GS, were miserably lacking. Commodore went to great lengths to promote the launch of the GS, promising up to 100 titles ready to bulge out of Santa’s sack, in time for the Christmas period. You just need to consider that the console launched in December and you can see this was somewhat far fetched. Many software houses were unconvinced that the 64GS would be a success – clearly they had people in their marketing teams with IQs in excess of 10, coupled with that, the technology was itself starting to age, with 16 bit machines having been on the market for the previous 6 years in the guise of the Atari ST, Amiga and similar machines. Every child wanted to be bragging about the superb graphics of their console in playgrounds far and wide, they didn’t want to be the kid sitting in the corner who when asked “What console do you have?“, would shake unnervingly and break down into tears. And when you’re 9 years old, this is a very serious business. Ocean Software was one of the labels which attempted to support the 64GS, offering several titles, on the cartridge only format, which itself was compatible with the original Commdore 64 machines. However, even with this cross compatibility, some cartridges were specifically labelled for the 64GS – in a bid to try and build up sales for the machine. Some games were direct ports of their 64 cassette or disk variants, while others were brand new developments, in a bid to make the most of the cartridge format. Some of the early cartridges released by Ocean were unable to fit a standard C64, due to the differing case design of the GS and 64, early cartridges didn’t quite fit into the original computer. Ocean corrected this by drilling holes into the cases so they would fit. Commodore produced a 4 game bundle, shipped with the machine, but noticing the less than enthusiastic take up of the machine, never made any further software for it in house. In total, 28 cartridge games were released during the sales life of the Commodore 64GS. Not quite the 100 promised before Christmas! One of the major issues with the GS, and one which severely limited it software library, was the lack of keyboard. Many existing cartridge games for the C64 required some kind of keyboard pressing either during or before the game, whether to simply indicate the number of players by pressing “1” or “2” or to use in game features such as special weapons… and of course, why wouldn’t they? 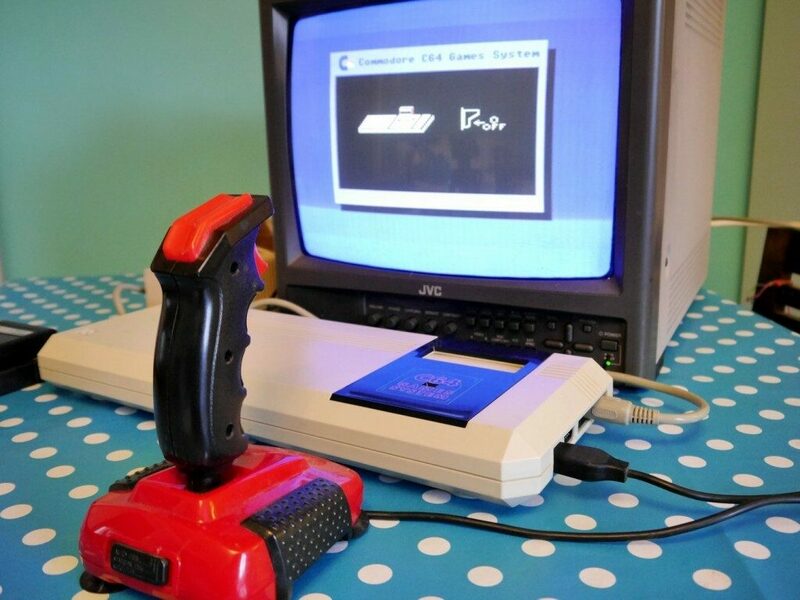 No one could have envisaged that Commodore would release such an oddball console further down the line. Terminator 2: Judgement day was actually made after the GS release, and was intended to be fully compatible with it. However, comically, the game required the “would be player” to “press any key” on the title screen to start the game. Therefore even though the cartridge lists the machine as compatible, GS gamers could never actually get past the title screen. This was a great source of frustration for many GS owners. Not only to have acquired, one of the most sub-par consoles available at the time (and trust me, if you try playing International Soccer for more than 3 minutes, you’ll see what I mean), but also to have a game that is completely unplayable…. Luckily the machine seems to be a hardy beast and can survive a hammer blow or two. Whether this made anyone actually go and buy a standard Commodore 64 as a GS “upgrade” is unknown. I would suspect not. Probably opting for a Blast processing capable Japanese counterpart in it’s stead. If the release date of the 64GS had been 5 years prior, before the NES and Master System were widely integrated into gaming society, then it may have been a commercial success, especially if priced at a lower entry point than the 64. However, by the time this old dog limped off the production lines, times had changed, expectations had changed and prominently, graphics had come on leaps and bounds. Commodore were desperately trying to get a slice of the console market, in much the same way they tried just a few years later with the Amiga CD-32. The problem in both of these cases, was the reliance on existing, ageing hardware, that just couldn’t keep up with the competition, coupled with less than appetising price points. That makes the 64GS an unfortunate, but now highly collectable segment of poor ideas history, and indeed, console history. If you can pick one up for less than £200, then you’re probably getting a bargain. Mine was about half that, so in my case, I’m one of the few buyers who after 20 odd years, considers my 64GS a bargain and a worthy addition to any (inverted quotes) “console” collection. Opening up the machine (apparently much easier once it’s been smashed to pieces), you’ll see that other than having the power light on a slightly longer cable and an upturned cartridge port, the gubbins are identical to a C64. Even the tape and expansion connectors remain, although you’d need to saw holes through the GS case if you wanted to use them. Other The ROM contains two changes to the standard C64 ROM. 1) Turning on the machine without a cartridge displays an animation asking you to insert a cartridge. 2) Extra inbuilt window commands, designed to compensate for the lack of a keyboard.